"Naughty Kiss" ends in Taiwan with the first place in ratings...major increase in favor in Japan. Hallyu star Kim Hyun-joong's charm saved the drama. MBC "Naughty Kiss" with Kim Hyun-joong as the lead role created a wild response in Taiwan and Japan. "Naughty Kiss" was played on Taiwan's Joong-cheon TV and ended last 27th with the leading rate of 0.59%. "My Girlfriend is a Gumiho" which was aired at the same time on Taiwan's GTV made an average of 0.3%. "Naughty Kiss" which was defeated by "My Girlfriend is a Gumiho" in Korea, managed to recollect its pride. A spokesperson for the drama explained, "The popularity of "Naughty Kiss" is because of Kim Hyun-joong. The actor isn't in the spotlight because of the drama but the drama is in the spotlight because of the actor". SS501 has received the Golden Disk in Taiwan five times in a row. 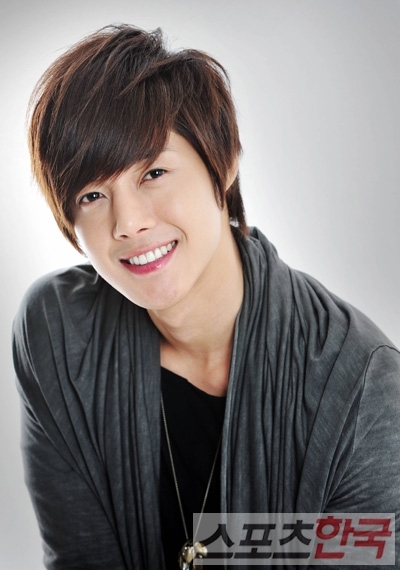 Kim Hyun-joong has also once won nearly all the awards in Taiwan for drama "Boys over Flowers". People in the media think Kim Hyun-joong's popularity played a big role in surfacing the drama. "Naughty Kiss" is also appealing in Japan. It is looking forward to airing on Japan's Fuji TV in March. Kim Hyun-joong will proceed with promotions before the broadcast. According to his spokesperson, promotion tickets of 8,000 seats have all been sold out. The spokesperson said, "It's good that Kim Hyun-joong could appeal to overseas fans. He will be returning with a solo album and other projects like a drama or a movie". "Kim Hyun-joong appeals to Asia"
[Spoiler] Added episode 6 pictures for the Korean drama "Paradise Ranch"